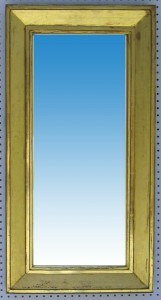 Narrow mirror in a relatively wide (3-5/8 in.) Sully frame. 20-1/8x 39-5/8 in. (outside measurements). Made 1830’s.